Gaál István’s MAGASISKOLA marked a turning point for his career, shooting for the first time in color and choosing to adapt a novel written by Mészöly Miklós. Gaál chose to use the Hungarian style of parabolisztikus to convey the ideas present in Mészöly’s original story. At first MAGASISKOLA appears shockingly direct, a parable showcasing the falcons as militarized killers who obey their leader’s commands to kill other birds. While the fear of such a regime being imposed is universal, a deeper theme lies beneath MAGASISKOLA exploring the tension of paternalism in the Kádár era. The combination of these general themes with the specific experience of Hungary in the late sixties helps to elevate MAGASISKOLA as one of the most important Hungarian films in the post-new wave era. 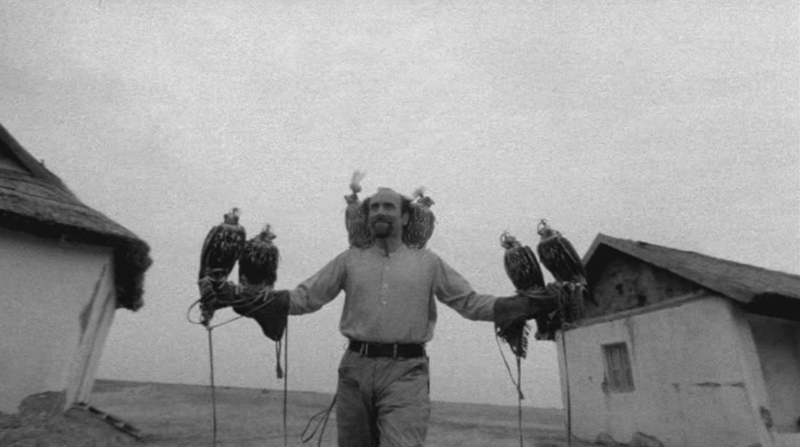 MAGASISKOLA follows Gábor (Ivan Andonov), a writer who is interested in a government program that is training falcons to control the bird and pest populations in the puszta. 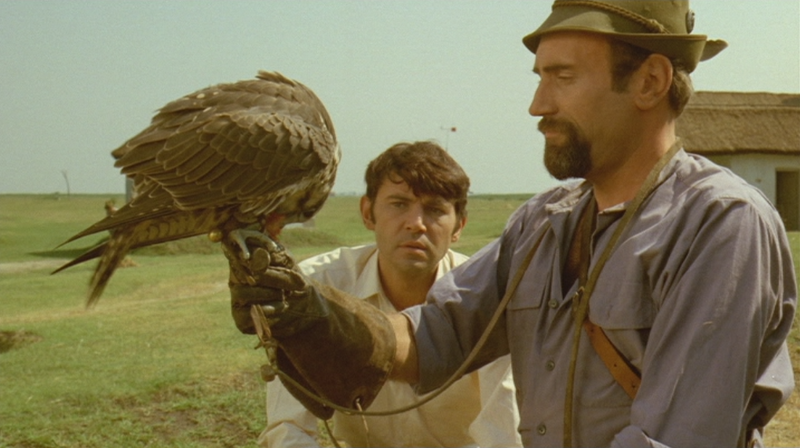 Gábor moves in to the compound working alongside it’s leader Lilik (Bánffy György) and the other falconers. He observes how the birds are trained to survive and fight other birds through diet and practice. Overtime Gábor becomes intrigued by the idea of how order is observed in the tiny falcon community. Lilik see’s his work as important while the surrounding farmers hold him and his ideas with contempt. Eventually Gábor becomes aware of the inhumanity that is occurring and flees the farm after a tragedy strikes the falcons. When Gábor first arrives at Lilik’s farm he is interested in it’s concepts but later is drawn into that world by Lilik’s commitment to the ideas, obsessing over the order and balance among the falcons. Lilik even spends his free time painting and drawing the falcons. Gábor is fascinated by their ability to control and tame these creatures but later is fearful when he realizes the falcons are sacrificing their identity. When Gábor recognizes these changes within himself, he chooses to escape silently instead of rebelling against Lilik. Lilik paints a picture of a dichotomic world shifting between anarchy and progress, visualizing a balance between the two in the form imposed militaristic order. He constantly returns to this theme of balance and uses it as justification for the killing of the other birds, a necessary evil to maintain that balance. As a viewer we are given this isolated perspective for most of the film, that is until the two central characters interact with outsiders to the falconry installation. These outsiders, local farmers, view the falcons with distrust and behold their actions as if they were criminal. They don’t recognize a balance but instead witness the violence of the falcons hunting and torturing the birds they track. None of them are willing to confront Lilik though and instead choose to act subversively, such as taking down his warning signs. This complicated relationship between both freedom and anarchy is present in every aspect of MAGASISKOLA. Gaál uses the sounds of humming electrical wires, the cries of hawks and the shouts of falconers to create a sense of repetition and order. While alone and in short dosages they seem inconsequential, but when focused on and when they become unending these sounds shift to being torturous. In one scene Gaál has the falconers riding in a circle shouting commands to a falcon to move between them. Lilik presents it as a training exercise but the camera perspective is from within the circle of riders, creating an atmosphere of being trapped for the audience. Just like sound, the landscape itself projects an oppressive aesthetic. Like many of his peers, Gaál uses this seemingly endless flat expanse of the Puszta as not just a metaphor of oppression, but to help isolate the characters to truly bookend the parable style. All of this emphasis on balance is of course an illusion crafted by Lilik himself. Lilik commands the falcons and chooses when and how many herons die and how they will be trained. 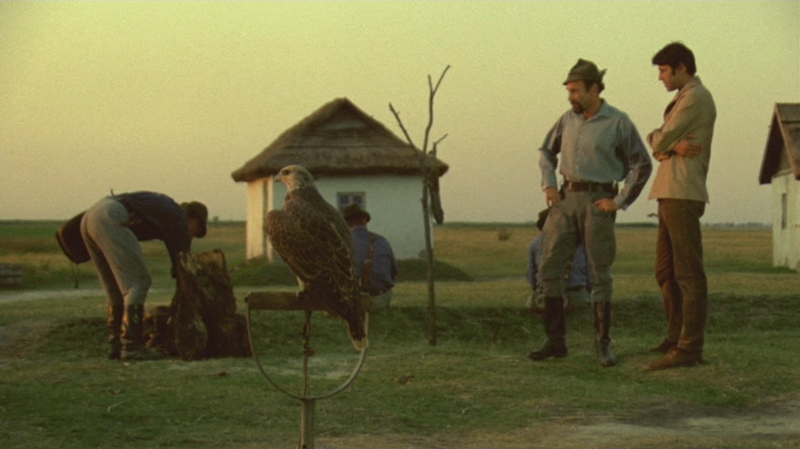 In one scene Lilik displays to Gábor a project of his where he has trained two falcons to hunt one prey. When one falcon captures a heron he waits for the other and together they slowly eat away at the heron while keeping it alive for Lilik. This scene is important because it helps to reaffirm the audiences dislike of Lilik and his disillusions but also to humanize Gábor has he sympathizes with the injured Heron. The order to help establish a sense of freedom is enacted out by the falcons, but they have no freedom themselves as they are a puppet for Lilik’s theories and ideals. 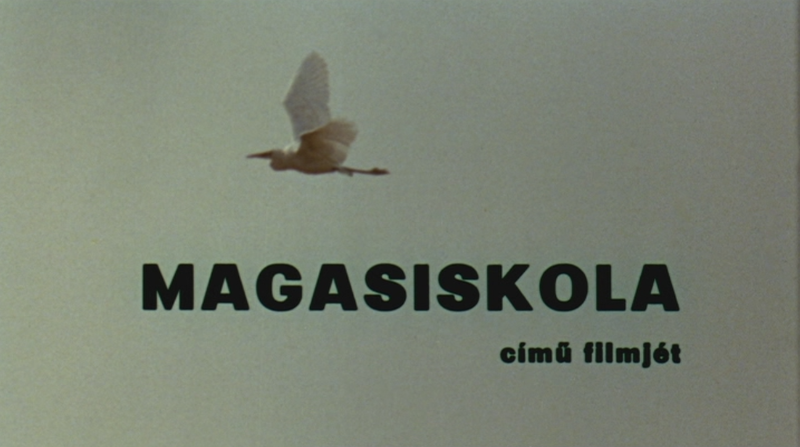 While MAGASISKOLA resonates universally with its themes of order and control, it really shines as a parable of the political climate in Hungary at the time of its release in 1970. In fact the narrative seems almost prophetic given that Mészöly wrote his short story after the ’56 Revolution. Lilik is so enthralled by his own ideas that he doesn’t recognize that he has created a form of paternalism for his falcon regime. The concept of paternalism rang so very true for Hungarians in 1970 under the Kádár administration. Following the Russian invasion of 1956, Kádár was selected by soviet leaders to continue their ideology within Hungary. Kádár understood his situation well and enacted policies such as no longer needing to profess loyalty to socialism and farm collectivism. While it’s true that in this era Hungarian citizens saw a relaxation of censure and an economic boost, all of that came with a cost. That same freedom that was allocated to citizens was used as ammunition to attack its internal critics. Kádár’s administration would use the relaxed restrictions as measuring stick against people who wanted too much freedom. These situations were manipulated to teach a lesson to the rest of the populace. Lilik best represents this concept in a late scene in MAGASISKOLA were, during a night storm, the falcons tide to posts get caught in the puddles. One falcon, bug eater who is named for it’s lack of desire to kill other birds, drowns in the puddle that forms below its perch. Lilik claims it’s because Bug Eater complained and complained until it got a longer leash, and that leash is what lead to Bug Eater getting caught up and drowning. The parallels between Lilik and Kádár run deep through MAGASISKOLA with scenes like this. Lilik is often found quoting the words of fictional falconer Dawlah Taymur as matter-of-fact ideas, akin to how Kádár would use quotes from Marx and other socialist figures. Watching MAGASISKOLA in theaters during its initial release, it would of been very difficult for Hungarian audiences to separate the character Lilik from Kádár. 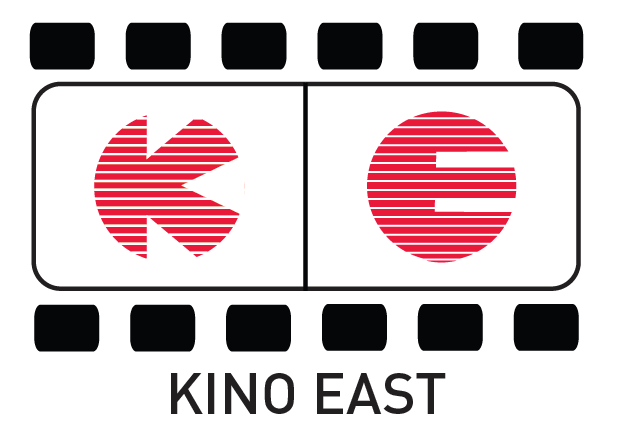 MAGASISKOLA marks an important transition for both Hungarian film and culture. The freedom in film of the Eastern Bloc New Wave in the late 60’s seemed almost forgotten under a tightening censorship. At the same time, the region would soon be experiencing the worst of a global economic depression towards the end of the decade. MAGASISKOLA was also the first adaption of Mészöly’s work, who still today remains an important figure in Hungarian literature. This film also marks the first use of color by both director Gaál and cinematographer Ragályi. A lot of time was spent in deciding in the usage of color in the film which can be seen by how Lilik wears muted and faded colors while Gábor first appears in brighter outfits.